Stocks are off to a great start in 2019. All three major indices are up more than 10%, led by a 16% rally in the Nasdaq Composite, and it’s still only March. But, not all stocks have had a great year thus far. 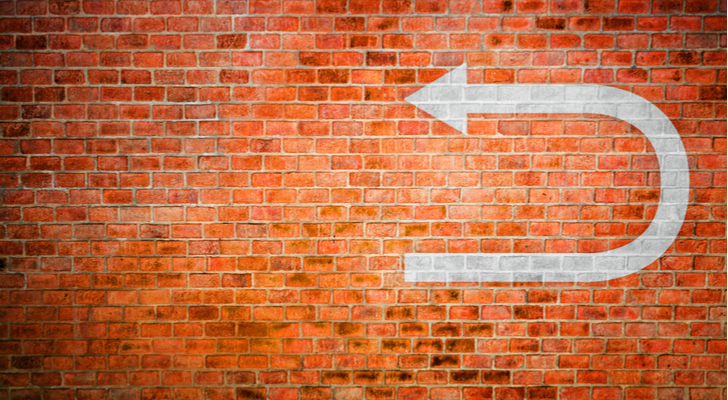 For every Roku (NASDAQ:ROKU) and Snap (NYSE:SNAP) — two stocks that are already up more than 100% year-to-date — there’s another stock on the other end of the spectrum that has struggled for gains in 2019. For some of those struggling stocks, the pain will persist because the fundamentals are weak, and only getting weaker. Indeed, that’s probably true for most stocks that have struggled amid the recent market rally. But, for other beaten up stocks, the pain could end soon. The fundamentals are weak today, but getting better. When they do get better, they will converge on a beaten up stock against a healthy market backdrop, and that convergence could spark a rip-your-face-off rally. That’s why I’ve compiled a list of seven beaten up stocks that I think are ready to reverse course soon. These stocks may stay weaker for longer. But, the underlying fundamentals are improving, and ultimately, buyers who exercise patience at these levels should be rewarded with a big rally in the near- to medium-term future. Which beaten up stocks made the cut? Let’s take a look. One of my favorite growth stocks back in 2017 was Axon (NASDAQ:AAXN). The thesis was simple. The law enforcement world is outdated. It needs to be technologically upgraded. 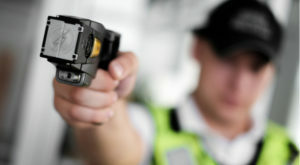 Axon provides solutions that do just that across a wide spectrum applications, including smart weapons, body cameras and digital recording systems. Adoption of these solutions will grow by leaps and bounds over the next several years. As it does, Axon stock, which seemed hugely undervalued at $20, will rally. Fast forward two years. The big rally in Axon stock happened. It jumped from $20 to nearly $80 in a year and a half. That rally was overdone. Now, the stock has pulled back in a big way to below $50. This pullback is likewise overdone. The core fundamental growth narrative of Axon improving processes and outcomes across the law enforcement world remains healthy and unchallenged (there are basically no competitors). The stock just got ahead of itself at $80. I’ve long maintained that Axon stock is fundamentally supported and attractive at $50. I maintain that stance today, and that’s why I think this stock is ready to reverse course soon. Calendar 2018 was unkind to all stocks, but particularly so to Chinese tech stocks. In the slaughtered China tech group, one of the biggest losers was Weibo (NASDAQ:WB), which dropped more than 60% off all-time highs and remains more than 55% off all-time highs today. Surprisingly, the big drop in Weibo stock had very little to do with Weibo-specific fundamentals. Those fundamentals have remained very good. The social networking platform has continued to add users and grow revenues at a robust pace, while it has largely maintained its margin profile and consequently grown profits at an equally robust pace. But, what happened in 2018 is everyone freaked out about a slowdown in China, and those fears coupled with escalating trade and FX headwinds to create a tremendous amount of selling pressure on Weibo stock. 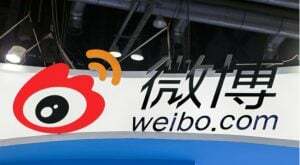 Things are looking up for Weibo stock in the New Year. China’s economy appears to be stabilizing. Trade headwinds are less severe. As are FX headwinds. Meanwhile, the company just reported quarterly numbers that comprised 28% revenue growth, 18% user growth and 26% profit growth. In other words, the macro is improving, and the micro remains favorable. As such, it seems like only a matter of time before Weibo stock stages a huge comeback rally. 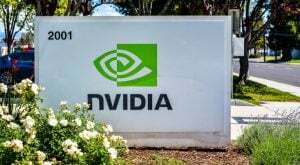 Chip giant Nvidia (NASDAQ:NVDA) used to be considered the unstoppable “AI company”. Everyone thought that the company had a monopoly in supplying the building blocks for AI-powered technologies. Everyone also assumed that demand in AI-end markets would remain robust forever. Neither of those is true. Nvidia has stiff competition, and demand has slowed. As such, Nvidia has gone from being an unstoppable growth stock, to a severely beaten-up stock trading more than 40% off all-time highs. But, things should improve in 2019. The big headwinds that weighed on NVDA stock in 2018 were inventory issues putting pressure on margins, and trade and economic uncertainty headwinds diluting demand. Those headwinds will become old news in 2019. Nvidia is already cycling through its inventory issues, and trade and economic uncertainty headwinds have become significantly less severe. As such, in 2019, demand should come back into picture, while supply should be reduced. That will create a favorable backdrop for Nvidia to return to healthy revenue growth and gross margin expansion. When that happens, NVDA stock will stage a huge turnaround toward and potentially above $200. Shares of global fashion conglomerate Capri (NYSE:CPRI) have been hammered over the past several quarters for various reasons. One, the core Michael Kors brand has lost steam. Two, margins have been under pressure. Three, investors have questioned the Versace acquisition. All together, investor sentiment has been weak, and CPRI stock has dropped more than 50% off all-time highs. I think these concerns are overblown. In the big picture, the morphing together of three luxury fashion brands (Michael Kors, Jimmy Choo and Versace) under one fashion conglomerate umbrella mitigates the financial risks and noise associated with fashion-trend cycles, while boosting brand awareness and equity. Consequently, while the Michael Kors brand will continue to cycle between hot and cold for the foreseeable future, Capri’s revenues in 2019 and after will show significantly greater stability. Margins will likewise improve with this enhanced stability. And, because of revenue and margin stability, the Versace acquisition will prove to be more than worth it — it will ultimately be seen as necessary. It’s only a matter of time before the market realizes this. When it does, investors will flock to this really cheap stock (9-times forward earnings) and that flocking could spark a big recovery rally. 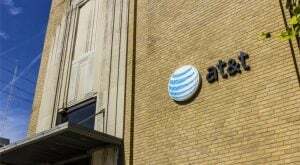 The narrative at AT&T (NYSE:T) has been dominated by cord cutting for several years now. Specifically, as more consumers have cut the cord, AT&T’s historically stable cable business has struggled. That has created a drag on the company’s revenue, margins and profits. To make matters worse, with the acquisition on Time Warner, AT&T is now one of the most indebted companies in history. A bunch of debt on muted profit growth doesn’t exactly attract buyers. It attracts sellers, and that’s exactly what has happened to this stock. But, a turnaround could be in store. The mainstream and widespread roll-out of 5G wireless coverage is coming, and that will provide a much-needed boost to this company’s wireless business. Meanwhile, Time Warner content assets should give AT&T the necessary firepower to expand more deeply into the streaming world and offset cord cutting weakness. Rates have also stopped climbing, so pressure on the balance sheet is easing while the big 6.6% dividend yield is relatively more attractive. All in all, the fundamentals underlying AT&T stock will improve in 2019. As they do, this super cheap, beaten up stock will outperform. In 2018, social media giant Twitter (NYSE:TWTR) was on a roll. Until it wasn’t. The stock went from $25, to $50, back to $25, all in the same year, as investors couldn’t figure out whether user growth really mattered. 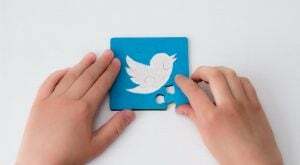 Ultimately, the market has settled on the fact that it does matter, as revenue growth and margin expansion have remained robust, but the user base has declined, and Twitter stock trades well off all-time highs. The market made the wrong conclusion here. Monthly active users is a meaningless metric without engagement. What are eyeballs if those eyeballs aren’t really interacting or paying attention? Engaged eyeballs for advertising purposes are infinitely more valuable because they lead to more data, which leads to better targeting, more relevant ads, and more ad conversions. At Twitter, those engaged eyeballs continue to go up, as the number of engaged daily active users is growing at a ~10% year-over-year rate. So long as that number continues to grow, revenues will grow, and so will margins. The market will realize this in 2019. When it does, you will see Twitter stock stage a big turnaround. Much like Twitter, Activision (NASDAQ:ATVI) stock was on a roll. But the stock went from $65, to $80, to $45, all in a matter of twelve months, because near-term positives quickly turned into near-term negatives. Specifically, everyone was expecting a big holiday quarter out of Activision thanks to a new Call of Duty release. That release got delayed. When the game finally did get released, adoption and engagement rates were underwhelming. Fans were disappointed. So were investors. ATVI stock dropped 50%. But, this 50% haircut in ATVI stock seems way overdone. In the big picture, Activision still has three big trends working in its favor. One, digital and mobile consumption globally is only growing, and that lends itself to continued growth in the video game industry, of which Activision is a big player with a broad portfolio of secular appeal games. Two, esports is just starting to come into its own, and Activision is behind arguably the world’s most important esports league. Three, innovation in the video game industry is nearing a breakthrough with things like AR/VR and cloud gaming, and those breakthroughs could supercharge growth across the whole industry. Overall, the long-term positives here significantly outweigh the near-term negatives. As such, patience will be rewarded. Eventually, near-term negatives will phase out. When they do, Activision stock will pop in a big way. As of this writing, Luke Lango was long ROKU, AAXN, WB, CPRI, T, TWTR and ATVI. Article printed from InvestorPlace Media, https://investorplace.com/2019/03/beaten-up-stocks-to-buy/.